Located in an adjacent position the Osong Station (KTX / SRT) & An airport-bus Station. 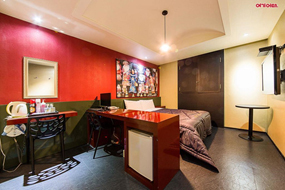 - Located in an adjacent position the Osong Station (KTX / SRT) & An airport-bus Station. - In front of "CU" convenience store, can be purchased tickets. 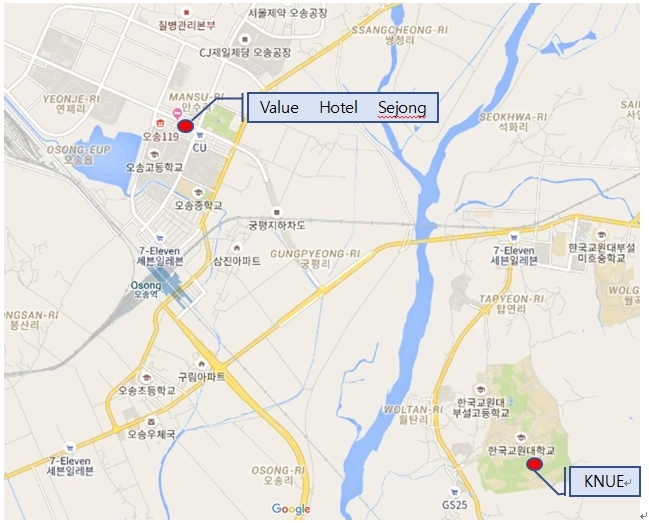 - Chungju IC <-> Value Hotel Sejong City : 5.84 km, about 10min. 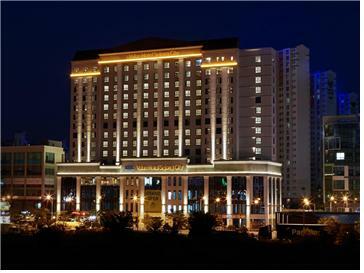 - An airport Chungju <-> Value Hotel Sejong City : 21.05 km, about 30min. 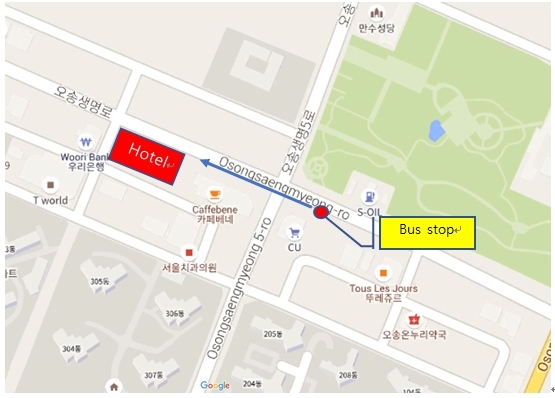  There are two ways to get to the hotel from Incheon International Airport.  The hotel is in Osong, Chungcheongbuk-do.  The Korean National University of Education is very close to Osong.  From the airport bus terminal(T1, T2), you can board the bus to Osong High-tech Complex City.  From Incheon International Airport to Seoul KTX Station, you will use the Airport Railroad. 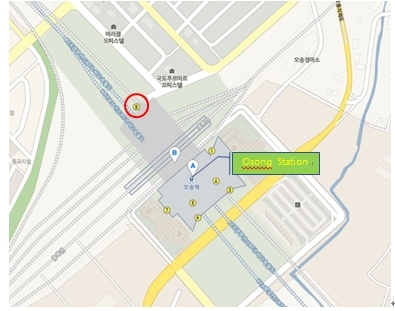  It moves from Seoul KTX Station to Osong Station.  Take the taxi from Gate 9 and go to the hotel(Estimated time :5min).  There is an advantage that the use time is more free than bus. 1. Purchase a KTX ticket to Osong from Seoul Station. 2. The estimated time from Seoul Station to Osong Station is 40 minutes. 3. After getting off at the Osong station, you should contact the hotel front desk and ask for a taxi. 4. Take a taxi from Gate 8. 5. Taxi fares are paid by the KASE(only Invited speaker). 2 hours of travel time). Program time may be changed by schedule and local circumstances. collecting in one place the folk customs in our culture that have been passed down for a long time. seasonal customs marked by solar terms. Presenting a sweeping view of the life in rural community and traditional culture in daily life in the late Joseon period, TKorean Folk Museum creates a vivid image of the yearly life of four farming families in Yongin that unfolded on the 24 solar terms through four seasons from cradle to grave during the late Joseon period. 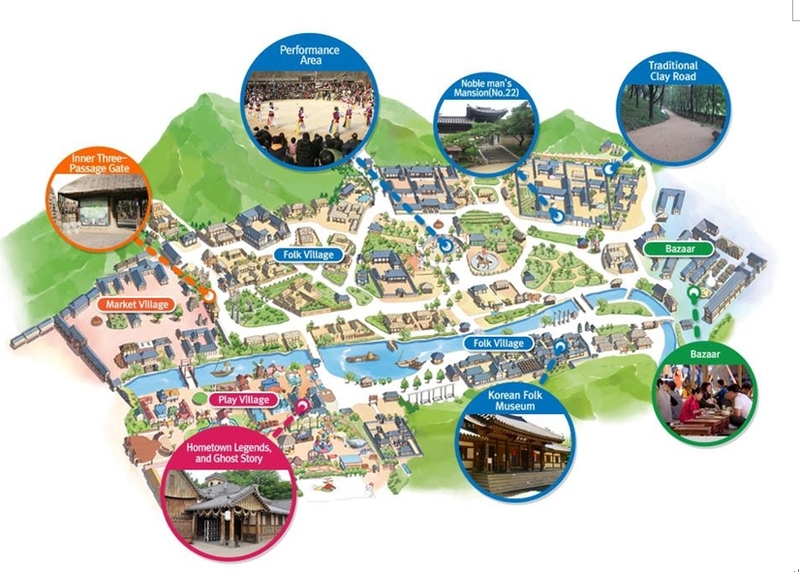 As an exhibition hall where people can easily learn and experience the traditional culture of the country, Korean Folk Museum is loved by visitors. Opened on Sep. 22, 2001, KFV The World Folk Museum is composed of nine permanent exhibition buildings. With 3,000 or so items of cultural heritage collected from the five oceans and seven continents, the Museum provides exhibition areas for different cultures, which present clothing, food, and housing, technology for livelihood, and culture and arts of each country. KFV Earthenware Exhibition Hall collects in one single place items of earthenware that provide a peek at the wisdom of our ancestors. First made in the period of Three Kingdoms, earthenware has since been used in close connection with the traditional life of our ancestors and at the same time provides excellent pieces for folk painting and patterns demonstrating artistic beauty. 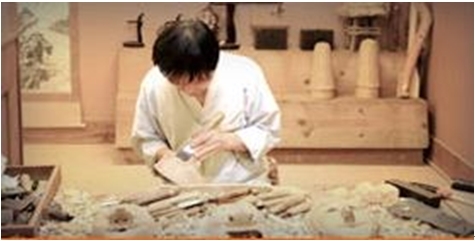 Earthenware Experience Hall, which provides an opportunity to make earthenware carrying natural leisure and richness, is a place loved by families, group or international visitors.